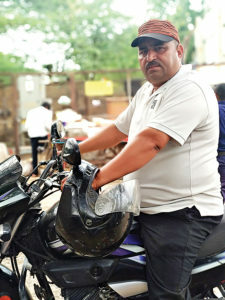 Jeevanjyot Singh, a 27-year-old mechanical engineer from Jammu, who works as a project manager in a construction company, comes across as just another regular young man. Behind his cheerful demeanour, though, lies a tough volunteer, always willing to work for the welfare of people affected by disasters and conflicts. Whenever an opportunity to be part of humanitarian aid work presents itself, Singh grabs it, taking a without-pay leave from his job for weeks together to work as a volunteer far from his home state, helping bring relief to the people in need. Singh recently returned home from Bangladesh after two weeks of voluntary aid work in refugee camps. 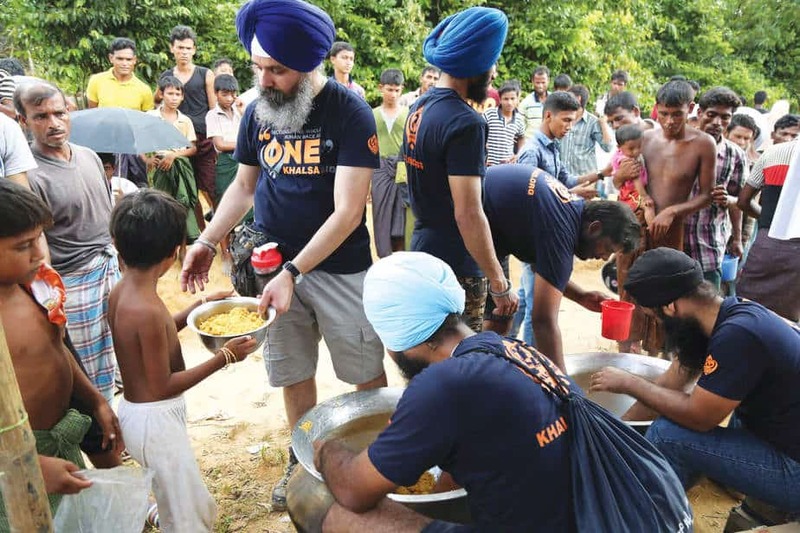 Along with other volunteers, he distributed and cooked meals for hundreds of Rohingya refugees as part of the food aid camp set up by Khalsa Aid International, an international non-profit aid and relief organisation which has provided aid assistance to victims of disasters and conflict regions around the world, including in war-torn Syria. 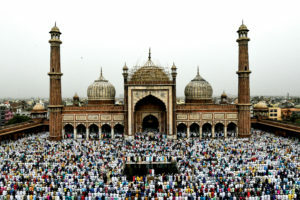 Singh is perhaps the first and the only youth from Jammu and Kashmir who has travelled to Bangladesh twice as a volunteer, working in the aid and relief camps set up for thousands of Rohingya refugees. 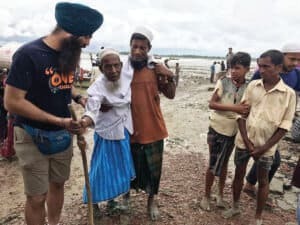 Last year, in September, he travelled to Bangladesh for the first time as a volunteer with a couple of Khalsa Aid volunteers from Punjab. Few more volunteers from Australia and England later joined them. Singh remembers the first day he travelled to the border areas of Bangladesh where hundreds of Rohingya refugees had poured in. They were terrified, hungry and exhausted. “They had not had food for several days, and we immediately set up a transit food camp there and provided them emergency food packets,” says Singh, adding that the project of cooking meals for the refugees went on till January this year. The volunteers of Khalsa Aid would cook meals for about 20,000 refugees every day in the aid camps, he says. 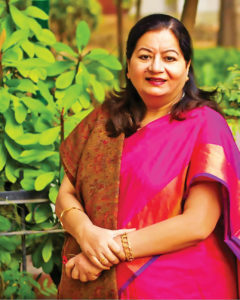 “Last year we also carried out a survey on the specific needs of the refugees and then provided the families with aid kits containing about 16 essential nutritious food items which are provided to the families every month,” Singh says. 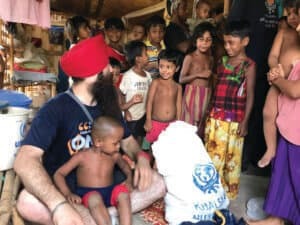 Last month, he travelled to Bangladesh again, and worked, alongside other Khalsa Aid volunteers, in an aid camp in Kuthu Palang area near Cox Bazar. Together, they coordinated and looked after Khalsa Aid projects and meal distribution programmes for the refugees. “We are trying to expand our aid projects in view of the monsoon season there, also setting up community centres and working towards fulfilling other needs of refugees there,” he says. 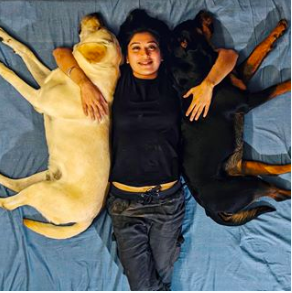 The spirit of voluntarism also runs in Singh’s family. He is particularly inspired by his cousin, Gagandeep Singh, who began volunteering for Khalsa Aid before him, having travelled to Nepal as a volunteer for relief and rehabilitation work following the devastating earthquake there a few years ago. Last year, Jeevanjyot took another leave from his office and went on to head a team of Khalsa Aid volunteers in the border area of Nowshera in Rajouri district that was affected by cross-border shelling. Along with other volunteers, he set up an aid camp in the border district where a team of volunteers cooked meals for about 5000 people displaced by the border shelling. He stayed there for two weeks, coordinating team efforts to bring relief to the affected families. Singh says he is inspired by the humanitarian aid work done by Ravi Singh, the London-based CEO of Khalsa Aid International, who started the non-governmental aid organisation in 1999. “I also look up to Amarpreet Singh who is the MD of Asia Pacific region for Khalsa Aid. He is a commercial pilot by training but he left that to engage in aid work and is currently coordinating many aid and relief projects for the needy people in several states apart from coordinating aid projects for refugees in Bangladesh and Sri Lanka,” he says.